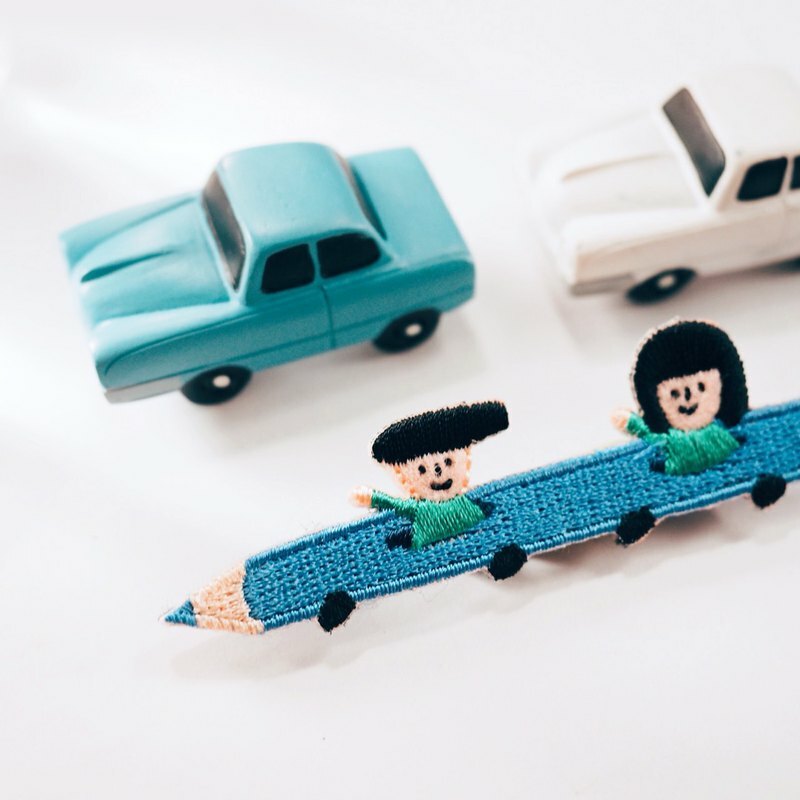 Pencil Car - Embroidery Brooch or Iron-On Patch, Patch Seal Drive pencil car into a forest. https://yohand.store/img/190329-embroidery-pencilcar-1.jpg You can choose brooch or patch. https://yohand.store/img/190329-embroidery-pencilcar-2.jpg 01=Brooch 02=Iron-On Patch, Patch Seal Details: https://yohand.store/img/190329-embroidery-pencilcar-3.jpg https://yohand.store/img/190329-embroidery-pencilcar-4.jpg Size: 2.5x9 cm Made in Taiwan. Note to Customer: Please allow for some variation in color as displayed on different devices and screens. Actual colors may vary. Shipping Details: After receiving your payment, we will ship the product within 5 days (holidays excluded). For customers in Taiwan, shipment will take 1 to 3 days (holidays excluded). For customers outside of Taiwan, shipment usually takes about 7 to 20 days (holidays excluded). The shipping fee is estimated. If you want to buy lots of products but you feel the shipping fee is higher than you expect, please contect us and tell us what you want to buy, we will check the correct shipping fee for you. Thank you :) Returns Policy: Buyers may return an order and request for a refund (partially or in full) within 7 days counting from the day after the order arrives at the recipient’s address. Buyers are responsible for all shipping fees including the shipping fees of returns.